You’ve parked your canoe, had a swim in the so-clear-you-can-see-the-bottom sea, and now you’re relaxing in a friendly little harbour-side restaurant before a plate loaded with incredibly fresh fish – probably part of the catch you saw landed this morning. Around the bay little white houses doze in the sun, like a box of sugar cubes that’s spilled down the rocky mountainside. The occasional goat wanders into view but there’s not a car in sight, because there’s no road. You arrived by boat, just like everyone else – although “everyone else” is a bit of a misnomer as the place is blissfully quiet. It feels like some incredibly remote and undiscovered isle. But actually you’re in Loutro on Crete, the largest and one of the most-visited of all the Greek islands. How come you’ve escaped the crowds? Simple. Because you booked with Sunvil. Sunvil has four decades’ experience of finding places off the beaten track, even in the most popular destinations, so you can enjoy all the things that pull in the tourists without having to jostle with them. Loutro is on Crete’s spectacular southwest coast – less immediately accessible than the more popular north and generally much quieter. It’s a 90-minute drive over the mountains to reach Paleochora, for example, but well worth the effort. Set between dizzying mountains and sparkling sea Paleochora is blessed with half a mile of superb sandy beach, plenty of authentic Cretan tavernas and restaurants, and some excellent walking country inland. 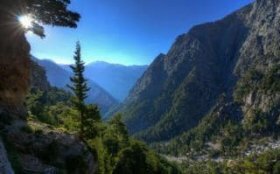 This includes Samaria Gorge, 10 miles long, 1, 000ft high and one of Europe’s most memorable natural features. 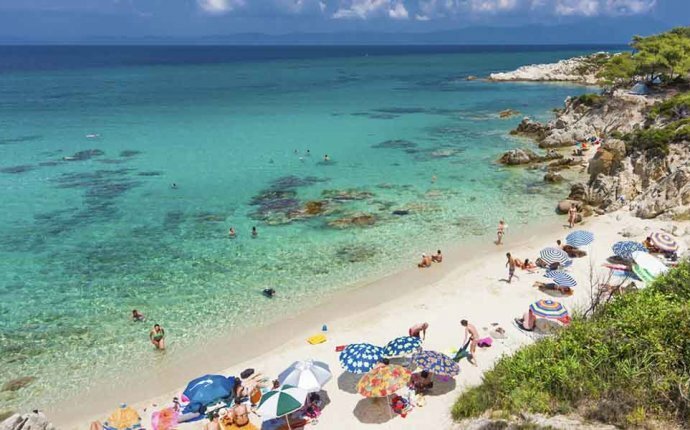 But it can get quite busy, so Sunvil’s local representative can recommend some quieter but similarly impressive alternatives, such as Sougia or Agia Irini. Sunvil employs these reps throughout Greece. Many have lived in their areas so long they’ve become honorary locals, and they’re always ready to put their encyclopaedic knowledge at your disposal to ensure you get a truly authentic experience. A week each in Paleochora and Loutro is an ideal balance. You can easily transfer between them by sea, but here’s another Sunvil tip: do Paleochora first to avoid a long wait changing ferries. If you’re into walking then Corfu is another excellent option – yes, there’s more to Greece’s emerald isle than beaches and tavernas as long as you know where to look, and of course Sunvil does. 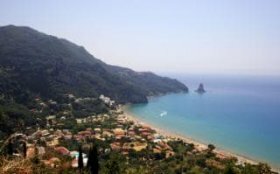 The Corfu Trail winds the length of the island, through olive and cypress groves, over wildflower meadows and rocky bluffs, past sleepy villages and aquamarine bays. It passes right through little Liapades, a very traditional hill village clustered around a 17th-century church. From here you can wander along lanes and donkey paths to some of Corfu’s loveliest old villages, take a boat trip to the caves of beautiful Paleokastritsa, or just chill out on the local beach.